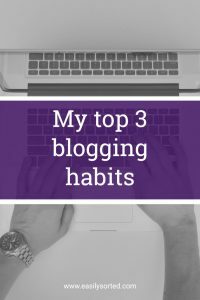 Do you have good blogging habits? Good habits are key to anything you want to do well. Blogging is no different. Brainstorming. Every now and then, I do a big blog brainstorm. I write out every possible topic I can think of that my readers would want to read about. Now, I don’t use ALL of these ideas as blog posts, but it gets the creative juices flowing. I try to come up with about six months’ worth of blog topics before I ever start writing any posts. If I notice several topics in a similar niche, I might turn those into a series. Or, if I can’t write enough content on a couple of similar topics, I might combine them into just one post. Batching. After I’ve got a big list of topics, and I’ve sorted out which ones to write when, I’ll sit down at my computer on a day and just write. 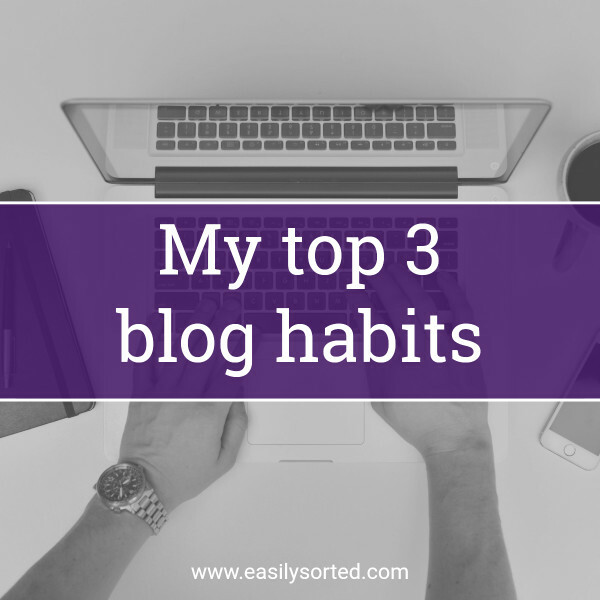 Usually I can churn out 2-3 blog posts in one sitting. After I’ve written the posts, I’ll go into Stencil and whip up the graphics. Again, I do it all at once, so I don’t have to shift gears and lose momentum. Finally, I go into Mailchimp and schedule my newsletters. Yep, you guessed it – all of them at once, and I don’t have to think about it again! Automatic sharing to social media. This is something that I set up once on Zapier, and it runs every 15 minutes to check for new posts. When Zapier finds a new post on my blog, it shares that link with the featured image to Facebook and Pinterest. 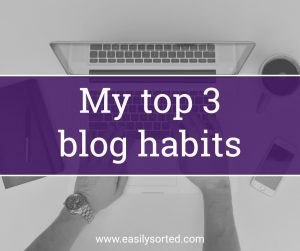 What are your best blogging habits? If you’re not sure you have any, you might want to grab the Genius Blogger’s Toolkit before the sale ends. It’s packed with anything and everything you could ever want to know about blogging, including my own ebook, Piece of Cake: 42 Simple Systems For Your Business. BUT…the sale ends soon, and this awesome deal – almost $7000 worth of ebooks, courses, and bonuses for 98% LESS than you’d pay for each item individually – will be gone for good. When the timer hits zero, you can say goodbye to the bundle. Find out more about the Genius Blogger’s Toolkit here. Note: As a bundle author, I’m an affiliate for Ultimate Bundles products. If you purchase the Genius Blogger’s Toolkit through my link, I may receive a commission.